A bow saw is a very handy tool to have as part of your arsenal. For small to medium sized sawing jobs it is definitely better than reaching for the chainsaw. A good bow saw will also make simple work of even the heftiest looking logs. So what is the best bow saw on the market today? In our bow saw reviews we give you our top rated picks. The table below will show all of these at a glance. For the pros and cons of each, plus our bow saw buyer’s guide, keep on reading. If you are a keen gardener a bow saw is an essential tool for keeping the growth of your trees and shrubbery under control. They can also be used as log saws, as well as for sawing wood for home construction projects. They are clearly more convenient and easier to pick up and use than a gas powered chain saw. With a good length bow saw you will be able to fell small trees very quickly with minimum effort. 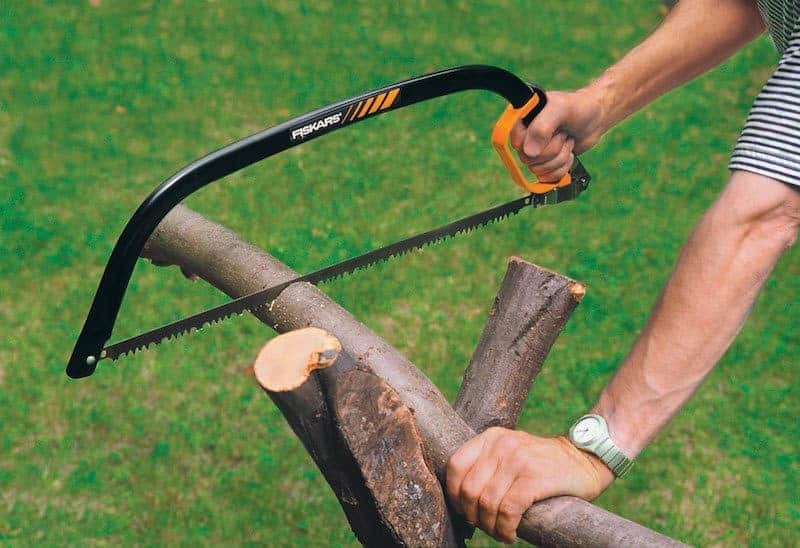 Foldable bow saws are also great for survivalist and camping. They are small enough to tuck away in a rucksack, (or attach to the outside straps) and can be extremely useful while out in the field. Smaller bow saws generally start at about 17 inches in length. These are more triangular in shape and are good for getting into tight spots while pruning and gardening. Longer bow saws can range up to 30 inches in length. 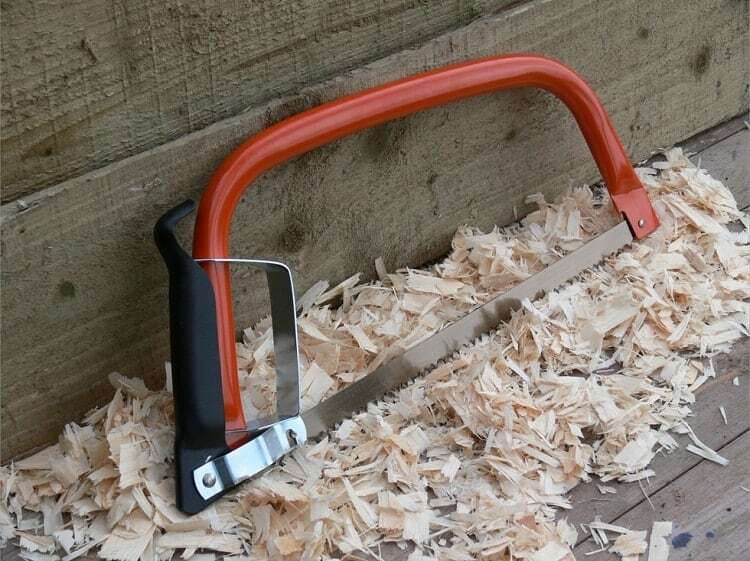 These are designed for more intensive jobs such as tree felling and log cutting. 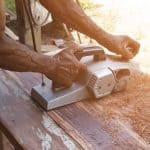 It is important to determine what you will be using your bow saw for before you buy. This way you will be able to decide on the length that is most suited to your needs. A good bow saw will feature a tension adjuster. This does not need to be anything elaborate, a lock handle with a thumb screw or wingnut for finer adjustments will suffice. This enables you to adjust the tension of the blade which will in turn increase the efficiency of your work. The blade tension of a bow saw can and will change due to temperature, humidity and age. A loose blade will make life difficult, just as a blade that is too tight will bend the bar. An easy to use tension adjuster will eradicate these problems. (Some bow saws will feature an automatic adjuster, so look out for these too). Bow saw blades are sharp. When looking for a quality bow saw, pay attention to the sheath. The guard needs to fit over the full length of the blade, keeping those sharp teeth out of harm’s way when not in use. If you are buying your tool online, read the reviews and customer comments to make sure that sloppy sheath design is not issue. It stands to reason that you want the handle to be comfortable, with adequate grip. Another nice addition is a built in hand guard. This is designed to sit in front of the knuckles as you work. If you slip, the guard will keep your hand in place around the area of the handle. You may also want to buy a bow saw that is bright in color. This is helpful when working outside or in amongst the undergrowth / tree branches. Instead of wasting time trying to looking for your saw, it will stand out nice and bright within your environment. Some bow saws will ship with extra blades. This is a bonus, (but not a deal breaker if they don’t). Blades are easy to pick up online or in your local DIY store. Have 1 or 2 spare ones knocking around at home. There is nothing worse than starting a project only to break your blade half way through. 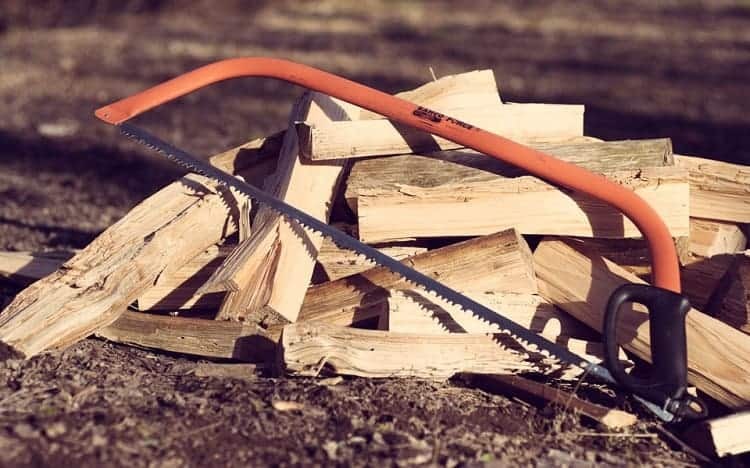 If you are processing larger pieces of wood, a log splitter may be required. Read our best log splitter review article here. The Bahco Ergo Bow saw gets the number one spot in our bow saw reviews top 5, because it is simply a thoughtfully designed, durable saw that performs very well. We have opted for the 30 inch version here, we like the effortless manner in which it saws through trees. However smaller versions are available, along with different blade types for dry wood. The 10-30-23 is designed to cut through Green wood. Bahco haven’t sat and rested on the laurels with this tool, (the company has been around for over 130 years and has an exceptional reputation in this field – our top rated folding survivalist saw was also awarded to these guys), they have carefully thought about the requirements of the bow saw in practice and created a product that stands up. The Ergo has been designed from the ground up for the demanding environment of construction sites. Toughness and durability are a priority here, yet the lightweight high quality steel tubing that has been used allows for easy handling and low sweat performance. Bahco have used an innovative tension mechanism to ensure that the blade maintains the correct tension for straight and accurate cutting. This is a feature that really sets the tool apart. The large handle on the tension nut, makes finer adjustments a doddle. Another big tick is the hardened steel blade (that the manufactures claim will never need sharpening), the teeth on these are razor sharp. The ergo also ships with a comfortable handle complete with knuckle protector. Finally, the saw is coated in a high-impact orange enamel paint. Not only does this help protect the saw from rust and corrosion, it also means you will have hard job losing this tool in the yard. For safe storage the blade fitting is tight and hard wearing, ensuring those teeth don’t impact where they’re not supposed to. 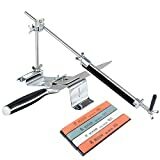 Very effective blade tension system that is easy to use. In our opinion, (and a lot of other opinions you will find online), the Bahco 10-30-23 30-Inch Ergo Bow Saw is one of the best available on the market today. 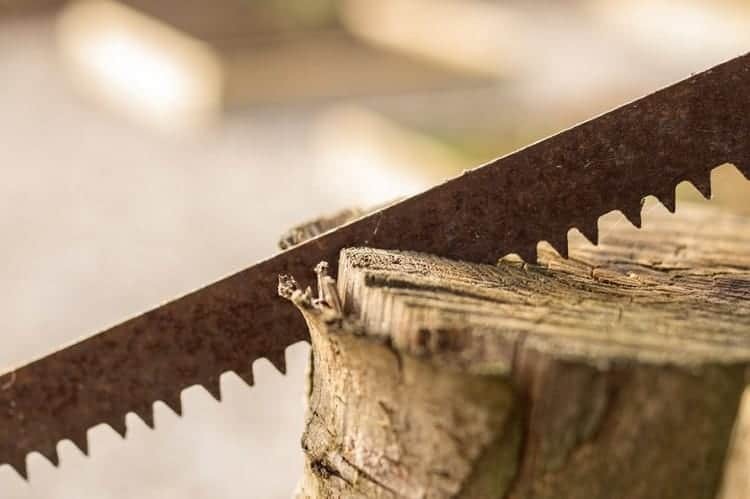 Strong, sharp and extremely well designed, the features you have here make for a saw that will perform as it should for years to come. It is our top recommendation. Here we have another great bow saw in the lower to mid length range, (however 24 and 30 inch versions are available). 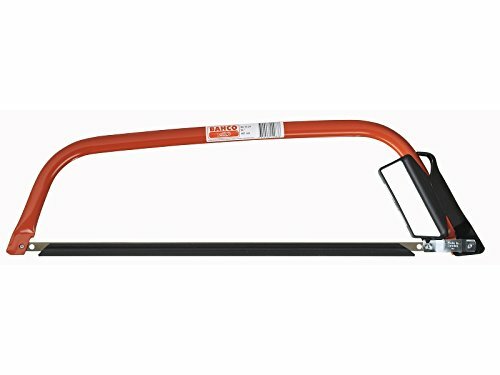 A handy option for branches in hard to reach places, the Truper 30255 is ideal for garden use. Top features such as the cam-lever tension system help ensure that the blade is nice and tight while you work. 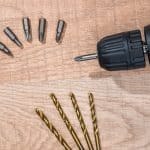 This also doubles up as a quick blade change release system, meaning if you have spares in your tool box, you will not be out of action for long if the blade snaps halfway through a job. The verdict is mixed on the overall strength of the blade. Some users have complained that it is quite up to the job (i.e they have experienced premature snapping) while others have had long term use without issue. The saw is covered in a tough outer orange paint to help reduce the risk of rust, (while ensuring you can see your tool after it has been dropped in the undergrowth). The handle is simple yet effective, and also features a knuckle guard. One area that has been overlooked is the protective sheath. This is just a cardboard casing that really is rather lacklustre. All that being said, it is clear that Truper know what they are doing when it comes to hand tools. The company has been manufacturing quality products for over 40-years. They are also currently the largest Mexican company dedicated to this line of work. The handle is simple, yet the tool feels comfortable to use. The knuckle guard is an appropriate size without getting in the way. 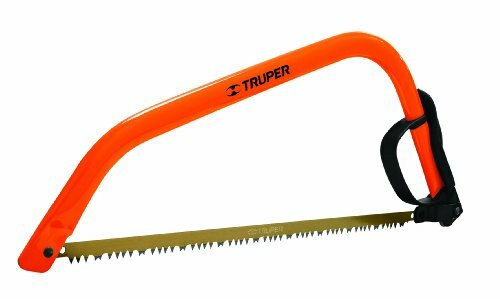 The Truper is a good bow saw that is well made. However, it does have a couple of minor flaws. When compared to the Bahco, it makes it difficult to fully recommend this tool. However, those that opt for it will not be disappointed. The Fiskars 7029 bow saw makes our list because it balances affordability with an adequate level of quality. Durability and overall design prowess is not up there with the Bahco or Truper, however when you factor in the low price (at the time of writing the list price is in the sub $10 zone), this is a bow saw hard to ignore. So what are you getting for the budget price? First off the 21″ version reviewed here is ideal for clearing brush and pruning. Fiskars have opted for a hardened carbon-steel blade with rust inhibitor. They haven’t scrimped on features either. 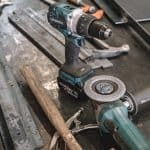 The tool contains a safety tension lever that is designed to form a comfortable grip, while also releasing the blade when it is time to change it. The structure of the bow saw is made from lightweight tubular-steel frame, making the Fiskars 21 inch bow saw easy to pick up and start work with. The company also throw in a lifetime warranty on the saw. Not bad at all. However, there are a couple of niggling issues and these basically stem from the low cost manufacturing. A few customers have complained about the rivets. The construction is not the most robust here, with some users experiencing the rivets falling out and / or breaking over time, (not what you need while out in the field). All said and done, with the Fiskars 7029 bow saw you are getting a workable tool at a great price. 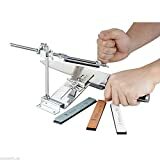 If you have no high expectations and just want a bow saw tucked away for when you need one, this could very well be the tool for you. If however, you are looking for something of higher quality that will still be around to hand over to the grandchildren, you may want to look elsewhere. Another Bahco makes our top 5 list, and for good reason too. This beast of a bow saw measures in with a blade at 36 inches, (overall length is actually 39 inches long and 10 inches tall – rather formidable I am sure you will agree). When you’re dealing with a bow saw this big, you know it is for specific jobs – namely, a good bit of logging, (as well as heavy duty farm / construction work of course). For extra strength, Bahco have gone for steel tube frames as well as the obligatory tension lever for quick blade change. Once again the manufacturers claim that the hardened steel blades never need resharpening. However, this does not stop the odd snapped blade every now and then, (meaning backups in the tool box are a good idea). The handle feels comfortable to use, and also features a black plastic hand guard to protect those knuckles as you work. 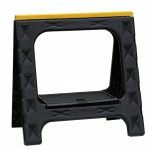 Bahco have also included a plastic blade guard to ensure those hardened steel teeth do not make their way through your kit bag, or where ever else you decide to store your saw. The Bahco 36 inch bow saw is a great tool that will really appeal to those that need something with clout. You could literally build a log cabin in the woods with this bad boy. Strong, large with a super sharp blade; if size means everything to you, then this is the bow saw to buy. 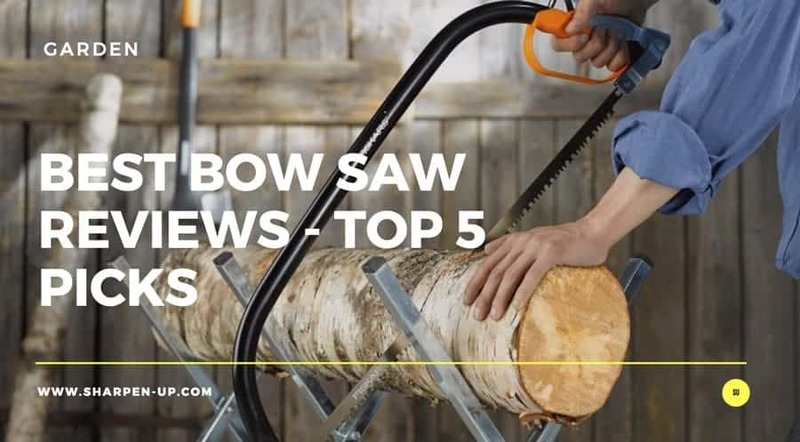 Now we get to the curve ball entry within our bow saw reviews top 5. The fact is, many people opt to buy a bow saw these days because they are so damn handy to have while out in the field. 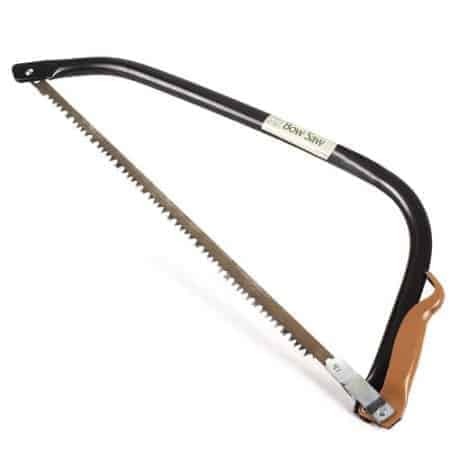 A good saw will go a long way in any camping / survivalist kit. Trouble is, some of the larger sized bow saws are quite awkward to lug around. In steps the Sven folding saw. The clue is all in the name. This excellent, ergonomic tool is able to fold safely into its own rugged high-strength aluminum frame when you are not using it. Add that to the fact it is extremely light, (for weight reduction the saw features an aluminum handle), and you have a saw that is perfect for the backpack. The 21″ Swedish Steel blade with specially hardened teeth is ideal for all manner of sawing tasks you are likely to attempt while out in the wilderness. 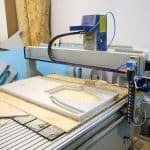 Beyond that, the design and build quality is of a standard that this can be used for tasks around the garden / home too. It really is that good. Don’t view this as a backup in the field type tool. It can withstand regular use around the home and garden too. While folded the bladed is completely hidden away. No safety sheath required. 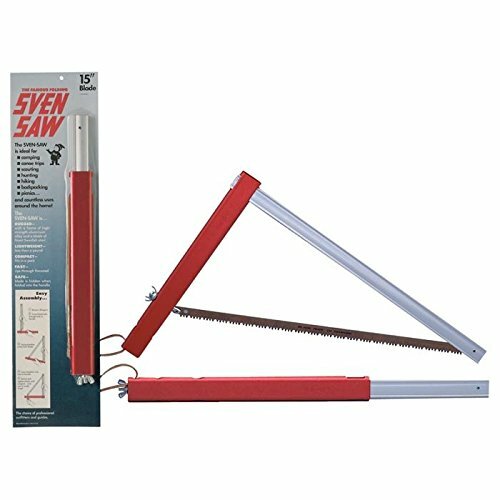 If you are after a convenient way of taking a bow saw out into the field, the Sven Saw Original 21″ Folding Saw, really is worthy of your attention. It ticks so many boxes for quality and performance it is untrue. Highly recommended.